Welcome to Chain Burn. If you are unfamiliar with the deck, and are looking for a fun, cool, deck that friends and others will enjoy playing against, leave now. This deck receives large amounts of hate, due to its combination of being an alternate win condition (which many players dislike in general) as well as the large amounts of stall that cause some players to believe that playing Chain Burn is playing solitaire. This is not my opinion, but I respect it. Anyway, now that that is out of the way, it is on to the actual topic. Welcome, friends, Romans, and countrymen to one of the most math-intensive decks in existence. As with most other decks, you win by making your opponent's lifepoints reach zero before they do the same thing to you. Chain Burn cares not about anything but these two goals (aside from a smattering of card-draw to keep things going). 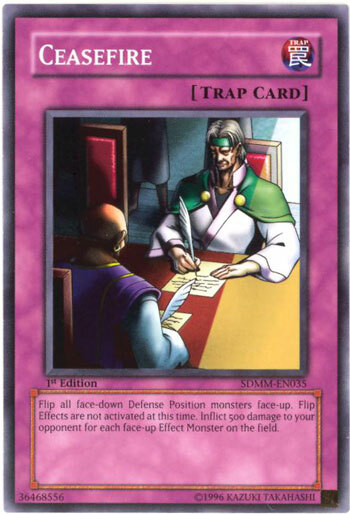 First, I will start with making your opponent's life points zero. 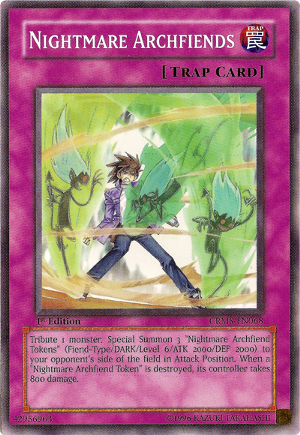 Chain Strike is the card that gave the deck its name, as well as swaying the play style heavily. 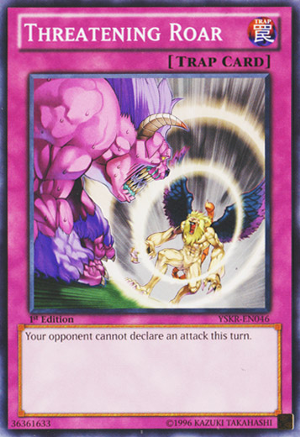 It is such a powerful card that it became limited in the March 2007 banlist, before jumping up to two September 2008. 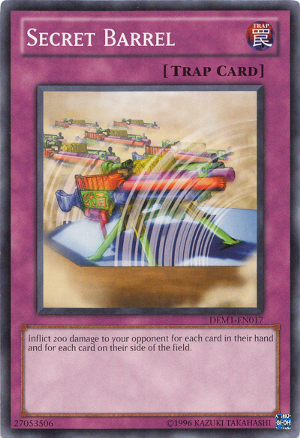 It is one of the single most important cards in the entire deck, fairly routinely dealing 2000 damage, if not higher. Run at 2, no exceptions. 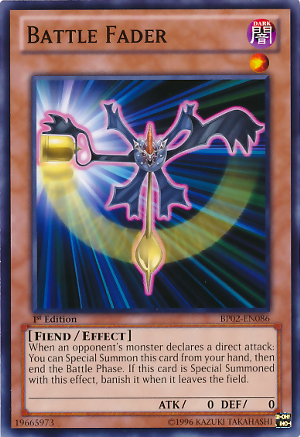 Another card capable of dealing large amounts of damage (maximum of 2500, which is simply stellar) and has increased relevance now to the overwhelming prominence of swarm tactics, as well as the up-and-coming pendulum summon. 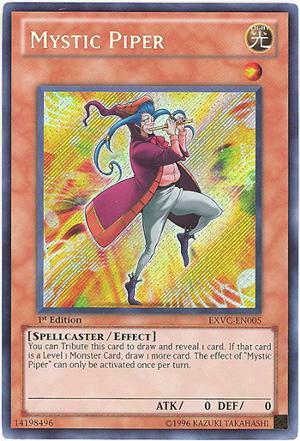 Has synergy with Ojama Trio, and is easily chainable at spell speed 2. Run 3, unless you have some odd reason not to. In many cases, this acts as a fifth copy of Just Desserts, burning your opponent for 500x the number of creatures they control. Although this card is much more at home in Duston Burn (where it is bonkers, by the way), it fits just fine in this deck as well. This card's largest downside compared to Just Desserts is the lack of synergy with Ojama Trio, but it can occasionally deal damage off of your own creatures. Run 1, but only if you are already running 3 of Just Desserts and want another. Works similarly to Just Desserts, but is capable of hitting the hand as well. Most chains will have this deal more damage, even though the base damage is lower. 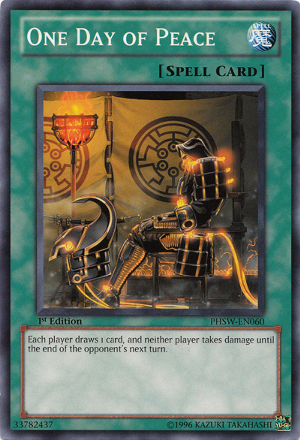 In my experience, this can do some scary things against gadgets and other decks that plus consistently. Run 3. 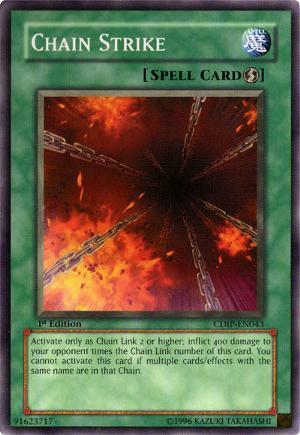 A card designed specifically to be run in chain burn, (nice job, Konami...) this deals an abysmally small amount of damage, but can do so repeatedly if the chains are arranged correctly, and makes for a just-fine chain link. It is much less explosive (ironic, really) than many of the other cards in deck, but the recur ability can be very helpful mid-to-late-game. Run 0 to 3, based completely upon preference. I personally run three currently. 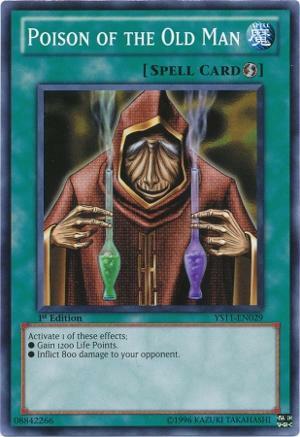 Even though this simultaneously obsoletes both Dian Keto the Cure Master and Ookazi, it is nothing special in a deck where cards deal upward of 2000 damage. 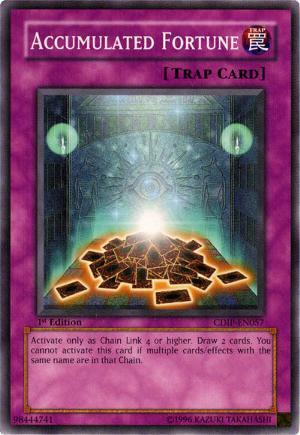 The fact that it is a quick-play spell card assists greatly in assembling chains, but it is still the kind of card one feels bad about running. Run up to 2, I run 2. A slower, weaker Just Desserts. 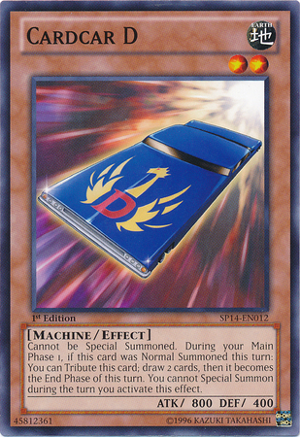 You can't use this before the opponent summons from the extra deck, and even if you could it still deals less damage. Don't run this. 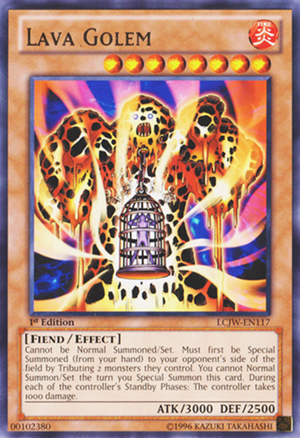 Effective removal as well as sustained burn, but can be a dead draw against decks that only have 1 monster out (not uncommon against Bujins, this is where queen is better). The fact that you are giving them a beater hardly matters, due to all of the stall this deck contains. In decks that summon many monsters, the opponent can just tribute stuff rather than being burned by queen, so Lava Golem is better for mainboard. Run up to 2 Golem, keep Volcanic Queen in side. Saves you for a turn, and can really only be stopped by an end-of-turn blind MST (even night beam can be played around, by chaining a burn card to Night Beam, and chaining Threatening Roar to your own burn card). Run 2-3. See Threatening Roar. Unless the opponent is running Nephilim/Catastor/Tiras, they are pretty much the same thing. Run 2-3. Saves you for a turn, and can allow for 6-piece chains using only your cards. Really only stopped by sideboard cards, or 104. Run 3, unless you run Battle Fader. Similar to Scarecrow, but gives you a monster to get in the opponent's way next turn. 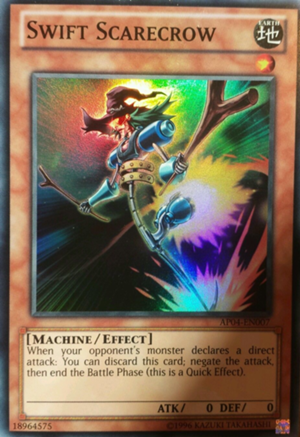 I prefer Scarecrow over this, due to the fact that Battle Fader can be hit by Solemn Warning as well as Vanity's Emptiness and Breakthrough Skill. Run 3, unless you run Swift Scarecrow. 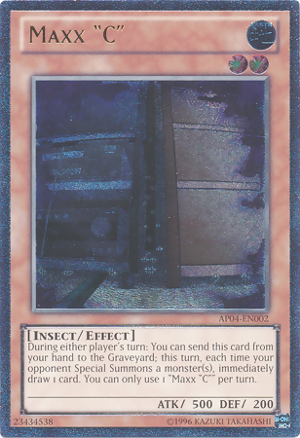 This card is quite new, so only time will tell, but it acts like a slower PoD that digs deeper. I run 3, but further testing is needed. You should have seen my face when this was unlimited. 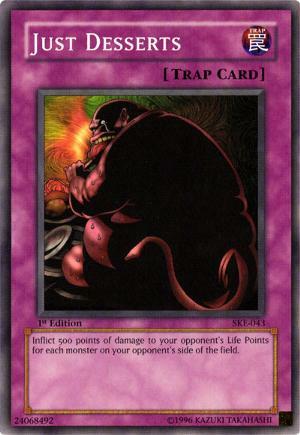 There is only one monster in the entire deck you will want to special summon, so the downside is negligible. Additionally, it has beautiful synergy with Cardcar D if you run it. Run 3. 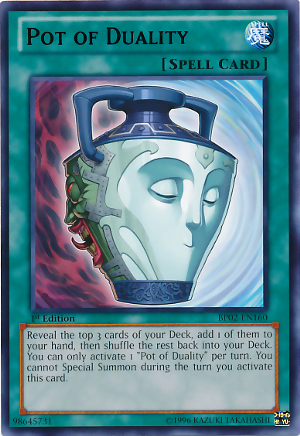 Do you like unlimited Pot of Greed at spell speed 2? I do. Run 3. 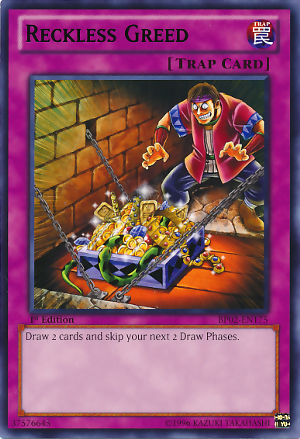 Similar to Reckless Greed, but can be a depressingly dead draw if you can't assemble a large enough chain. Additionally, contrary to popular belief, you CAN chain one Accumulated Fortune to another, as at the time of activation there was only 1 in the chain. Run 0-3, my testing shows 2 to be the best. The synergy with PoD is blatant, grabbing you more cards from the deck. Unfortunately, breakthrough skill is a thing, so it isn't uncommon for the car's effect to be negated and it becoming an easy target that can't be protected by scarecrow. Run up to 3, I don't run any. This must seem strange at first. 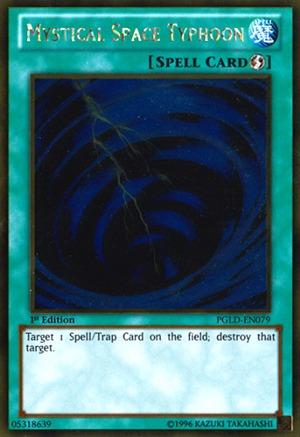 The question of "Why on Earth would I run a card that prevents damage in a damage-based deck? Why are you so stupid, Giga?" Because chains are a thing. You simply use this as chain link 1, then drop all of your burn on top of it. The burn resolves before damage is prevented, and then you have a free turn to sit around and laugh at your opponent's monsters. Run 1. Acts similarly to Upstart Goblin due to the fact that this deck does not need to normal summon very often. Additionally, it can grab you an extra card if another copy or Swift Scarecrow/Battle Fader is revealed. Run if your build can support it. It is good. Run 1. Enables Just Desserts, Secret Barrel, Lava Golem, and Ceasefire. 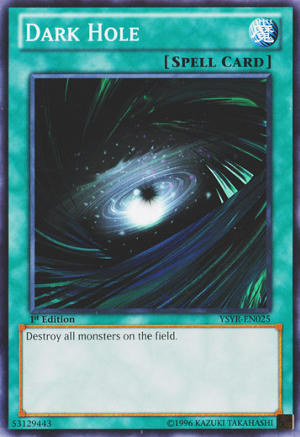 Additionally, it clogs the field against Xyz decks. The biggest weakness is that it allows Synchro decks to do stupid stuff. Run 2. 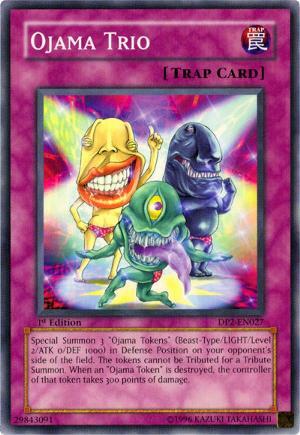 Similar to Ojama Trio, but the tokens provided are a lot more useful. 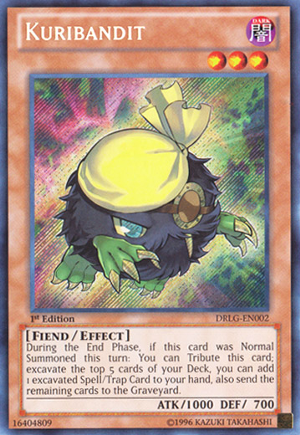 Builds that run Battle Fader can find the tribute for this card's cost, and it deals massive damage when combined with Dark Hole. Run up to 2, but only if your build can support it. Fair warning, 90% of the time this will be durdly and not worth it. Good against exodia, gadget, geargia (with Augur and Box), and just a ton of things. Additionally, if Mystic Piper is being run, this can help it plus. Another level 1 for Piper, it can harm many Xyz monsters currently ran. 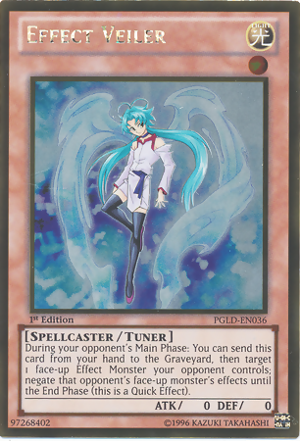 Its status as a tuner allows one to synchro summon formula synchron for a draw if Battle Fader was summoned the previous turn. This is just a sideboard all-star, relevant against geargia, infernity, and pretty much everything right now. Sadly, it is not a level 1, so no shenanigans with Piper. Do you like traps? Royal Decree doesn't. This settles that argument. Additionally, you can chain it to Tenki to prevent the search from happening. See: MST. Now add burn. This must be chained to Decree to stop it, though. Furthermore, you can set this on the bottom of a big chain and it almost acts like another Chain Strike. I hope that this can be helpful to players who hope to try out the deck. If anybody wants any cards added, just comment or PM me and I will put it in. Woah seems like a bit of a troll deck. Definitely going to try it out on DN :P.
As someone who still runs Chain Burn to this day, allow me to pitch in my 2 cents. In the draw department, I personally use 2 each of Jar of Greed and Legacy of Yata-Garasu. But the presented strat with One Day is something I didn't think of. Will toy around with that. Didn't think of Thunder Short. I'll consider trying it in the sideboard. 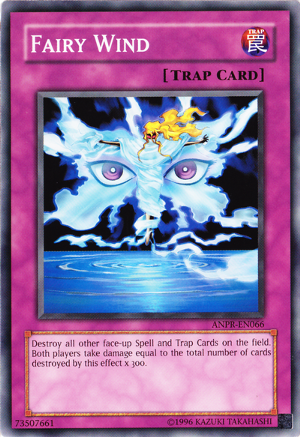 I need more non-Trap damage output in case the opponent sides in Decree. I also use Blast Sphere to take out large threats and deal massive damage. This also means that if the opponent wants to go offensive with Lava Golem, they end up taking 3000 damage next turn if they don't defuse the bomb. Zero Gardna is amazing stuff to go in the defenses department. 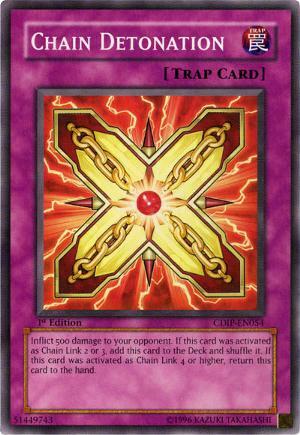 Being a Quick Effect, this lets you freely build your Chain while granting a Waboku effect. 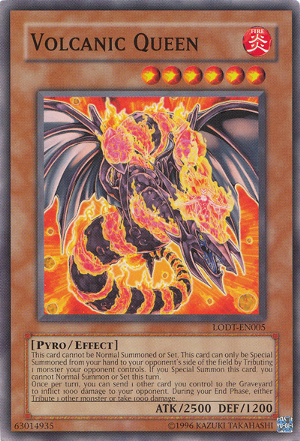 I use it over Waboku primarily because it scoffs at Royal Decree, Chain Burn's greatest weakness, and also it doesn't eat up S/T space. Besides, you have that free Normal Summon, might as well try to be productive with it. Dimensonal Wall is funny because it modifies who takes battle damage. 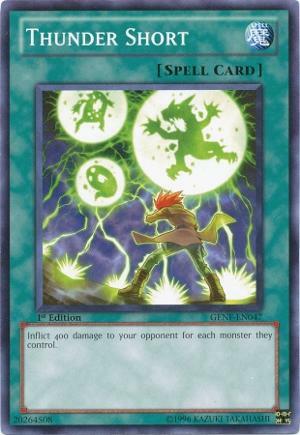 This means it bypasses all sorts of nonsense that neutralize Effect damage. Since you're playing with next to no monsters, it's effectively a Magic Cylinder. Gorz is acceptable, though not as effective as Fader or Scarecrow. You do get the ability to liberally clear out your field to make way for his Summon. His stats and Token deter further attacks while also giving you a reason to attempt going offensive. Book of Eclipse may seem like a generally terrible choice, but at times the non-targeting flip-down effect can be a boon. But then again, that was when I had to deal with Black-Winged Dragons sided specifically against me. Noble Knights have a tendency of getting stumped when they drop all their weapons. The draw afterwards had some synergy with Des Koala, but it can squeeze a bit more damage on Secret Barrel. Never activate your cards unnecessarily. 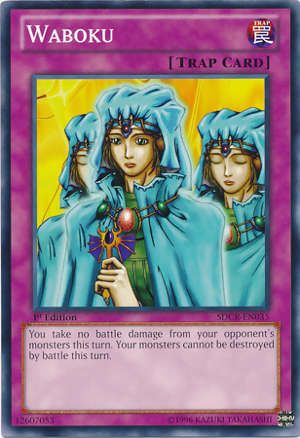 You're never going to know if your opponent will plomp down a Tuner after you activate Ojama Trio, for example. Be reactive. Use your opponent's actions as Chain Links to squeeze more mileage out of your Chain Strike. Occasionally, intentionally take a few hits or so to fake out the opponent about what you have ready. 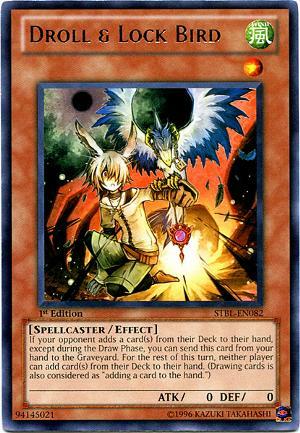 I've found that metaion is a god one to run in this deck too, resets the opponent helping the stall, burns them for the trouble, and is normal summoned, making it dodge most summon traps. it's pretty much certain that the only thing they have that will stop it is ether skill breakthrough, or solemn warning. so I usually side it in second game when they side out their breaks cause normally it's a bad card for the matchup against burn.